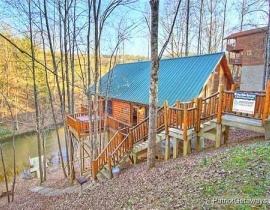 There’s no better place to put your toe in the water than in one of the bubbling brooks or flowing streams found all around our Gatlinburg cabins near water. 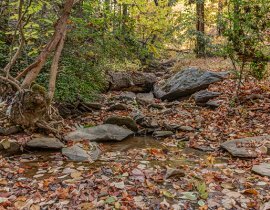 The soothing sounds of our clear mountain streams will serenade you as you sit on the porch, soak in the hot tub, or stroll on one of the area’s many nature trails. 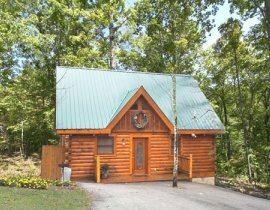 If fishing is your passion, then you’ll find lots of places to wet a line around our Gatlinburg cabins near water. Smallmouth bass, rainbow trout, and even native Brookies roam these waters. Gatlinburg city even maintains a stocking program around our Gatlinburg cabins, stocking the Little Pigeon River that runs through the heart of town twice each week with rainbow trout. Are the kids coming along too? Stop in at the kids only fishing platform next to the river in Gatlinburg. 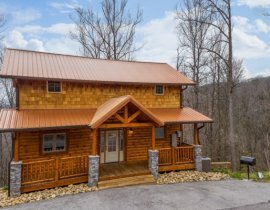 If you’re searching for that extra something special on you mountain vacation, check our selection of Gatlinburg cabins near water. Call us today – and don’t forget your fishing pole! .